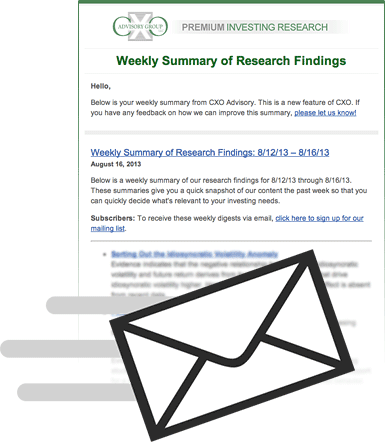 To receive a weekly summary of our research findings, please add your name and preferred email address to the form below. Upon signing up, you’ll automatically be added to our list to receive the email. You may unsubscribe from receiving the email at anytime (this does not affect your CXO subscription). Have questions? Let us know. You must be a subscriber to use this feature. Please login or sign up for a subscription.